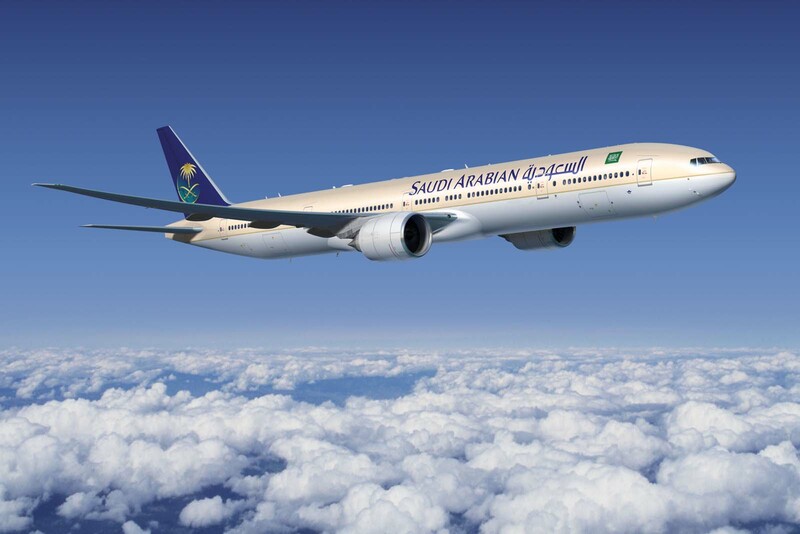 Saudi Arabian Airlines (SV) is the national airline of Saudi Arabia, based in Jeddah. It operates domestic and international scheduled flights to over 100 destinations in the Middle East, Africa, Asia, Europe and North America. Domestic and international charter flights are operated, mostly during Umra and Hajj seasons. Saudia’s main operational base is at Jeddah, King Abdulaziz International Airport (JED). Other three major hubs are at Riyadh, King Khalid International Airport (RUH), Dammam, King Fahd International Airport (DMM), and at Madinah, Prince Mohammad Bin Abdul Aziz International Airport (MAD). Saudia is a member of the Arab Air Carriers Organization (AACO), IATA and ICAO. It started operations in 1945 with a single twin-engine Douglas DC-3 (Dakota) HZ-AAX given to King Abdul Aziz as a gift by US President Franklin D Roosevelt. This was followed months later with the purchase of two more Douglas DC-3s, and these formed the nucleus of what in few years later was to become one of the world's largest airlines. Today Saudia has some 117 aircraft, consisting of Boeing 747-400, 777-200 and 777-300ERs, Airbus A320/A321s and A330s and Embraer 170s. In addition, Saudia Cargo has a fleet of Boeing 747-200F, 747-400F, 747-800F and MD-11F aircraft.